This is definitely a case which will be of interest to anyone converting commercial property to residential use. The case is Capital Focus Limited v HMRC TC05193 Appeal number TC/2015/04891. Capital Focus purchased Tintern House in Banbury, Oxfordshire in August 1994, it was a commercial building and they intended to create one large residential building so they started work and reclaimed the VAT, however, they changed their mind and decided to create an HMO instead. was not a zero-rated but an exempt supply and any input tax incurred that was directly attributable to it was not recoverable. HMRC lost the case, here is the result..
VAT Notice 708 has the exact details and whether or not the 5% rate can be used is a matter of fact not opinion. HMRC will not give specific clearance, they will refer you to the rules and ask you to check the rules with your builder for your project. The property owner doesn’t issue a certificate (as would be needed to Zero Rating), its for the builder/developer to determine whether and on what the 5% VAT rate can be applied. and will not be used as a hospital, prison or similar institution or an hotel, inn or similar establishment. VAT and Construction are never simple! Under the PDR scheme, persons seeking to obtain planning permission to convert certain types of non-residential property (such as agricultural buildings or office accommodation) to residential dwelling(s) can make a PDR application, rather than a full planning application. This acts to hasten the application process for claimants and is being increasingly adopted by planning authorities in England. To zero-rate the sale of all newly converted dwellings (from non-residential buildings) or to make a valid claim under the DIY House Builder Scheme, the newly converted building must meet the requirements of a building ‘designed as a dwelling’. Further information can be found in Section 14 of Notice 708: buildings and construction (14 August 2014). One of the conditions is that the developer, builder or DIY House Builder Scheme claimant must be able to demonstrate that statutory planning consent (SPC) has been granted in respect of that dwelling and that its construction has been carried out in accordance with that consent. In addition, part of the conditions for some supplies of construction services to be eligible for the reduced rate of VAT of 5% for the conversion of a non-residential building into a dwelling requires individual SPC. Further information can be found in Section 7 of Notice 708: buildings and construction (14 August 2014). Following the introduction of PDRs, individual SPCs will no longer be required for some developments making the meeting of this condition difficult. HMRC is clarifying its policy concerning the VAT treatment of works where an individual planning application is not necessary because statutory planning consent has been granted though PDRs. c) Evidence of deemed consent (ie evidence that you have written to the LPA and your confirmation that you have not received a response from them within 56 days) and evidence that the development is a permitted development. This will include all of the following (where the documents have been created), plans of the development, evidence of the prior use of the property (eg evidenced by its classification for business rates purposes etc. ), confirmation of which part of the planning legislation is relied upon for the development and a lawful development certificate where one is already held. Developments carried out under a PDR must still meet the appropriate building standards. Should any circumstances arise where building control is not required, evidence from the local authority confirming this should be provided. 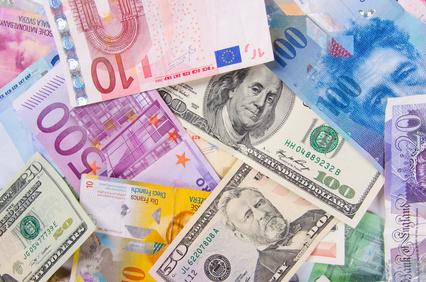 FRS102 affects many things and Section 30 sets out the rules on Currency Conversion. (c) translate non-monetary items that are measured at fair value in a foreign currency using the exchange rates at the date when the fair value was determined. Under SSAP 20 Foreign currency translation in current UK GAAP, where matching forward contracts are in place for a transaction, the contracted rate can be used for translation of the matched transaction. This option is not permitted under FRS 102. Instead, a foreign exchange forward contract will be recognised on the balance sheet as a financial instrument at fair value and the associated debtor or creditor will be retranslated at the year-end rate.